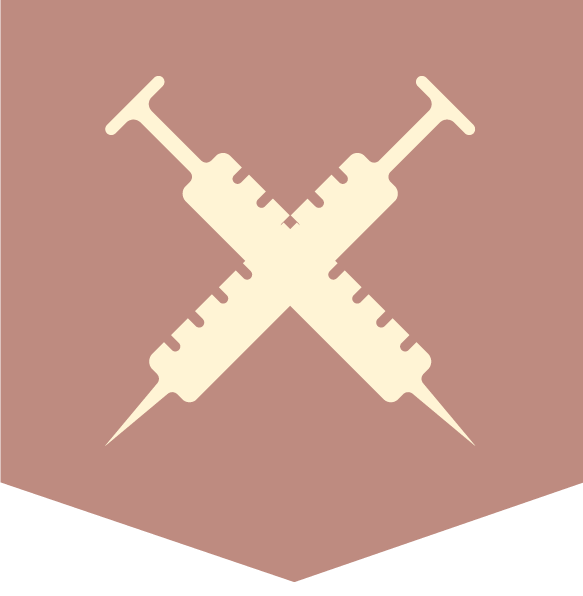 Since 2003, it has been the mission of Highway Hypodermics® to provide quality and up to date information to travel nurses around the world, and provide them with the roadmap to discover and live the adventure of a lifetime. 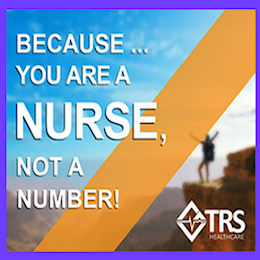 It is our mission to bridge the gap between traveling nurses and travel nurse recruiting companies, and be a trusted resource for anyone looking to become, or is currently a practicing travel nurse. 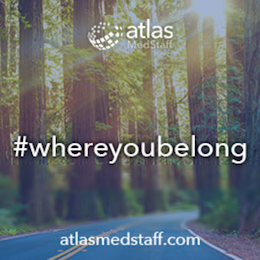 There are lots of travel nurse recruiting agencies that can help you find your next perfect placement, so how do you choose which one to go with? Search our Agency Evaluations or compare agency benefits and find the right company for you! Not all recruiters are created equal. 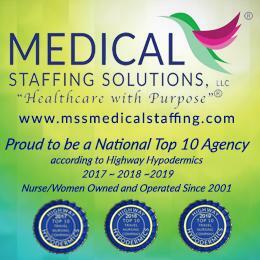 Find your next recruiter through Highway Hypodermics by looking at those who’ve registered with us. Or contact us and we can help you find the right recruiter who will help you find your perfect placement. You don’t have to figure it out all on your own. Use our Highway Hypodermics coaching service and our experienced travelers will help navigate the path to a success and rewarding travel nursing career. Click to learn more about how Highway Hypodermics can help get you started on the road to traveling. 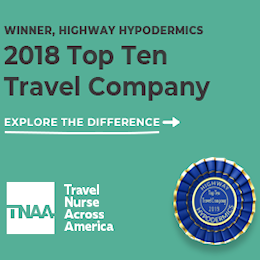 Check out the 2018 Highway Hypodermics Top 10 Travel Companies list. All of these companies were compared based on actual traveler reviews and information submitted by the recruiting agency. It’s a great place to discover many wonderful agencies to start your journey with. Download Your FREE WORKBOOK HERE! Whether you are a newbie traveler or considering starting your travel nursing career, this FREE workbook can help you make the most of our experience. Learn if you have the right personality traits for traveling, see the clinical areas that would be your best match, or discover how to identify the right agency, city, or hospital! 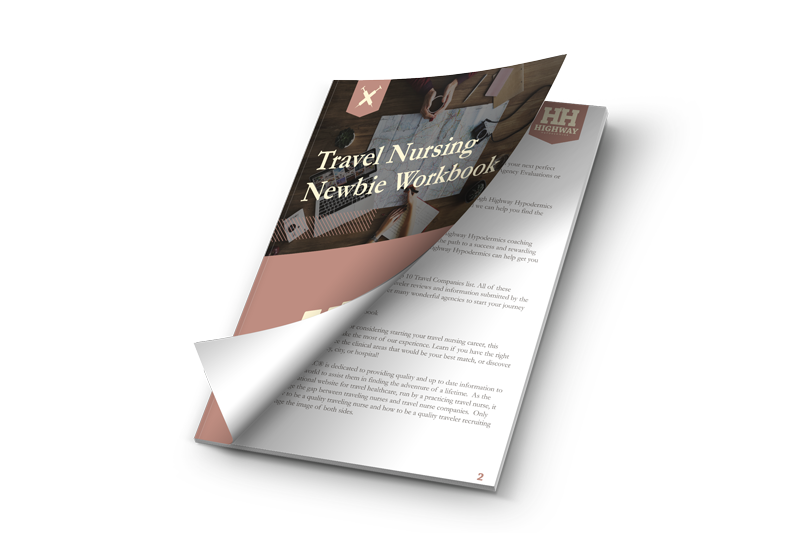 Sign up below and receive the Travel Nursing Newbie Workbook FREE! Thank you! You will be emailed your Newbies Workbook shortly! Judy talks about her RV travels. Helen shares her first scary experience. Jeanine shares about an assignment "from hades". Leslie shares her first travel experience.